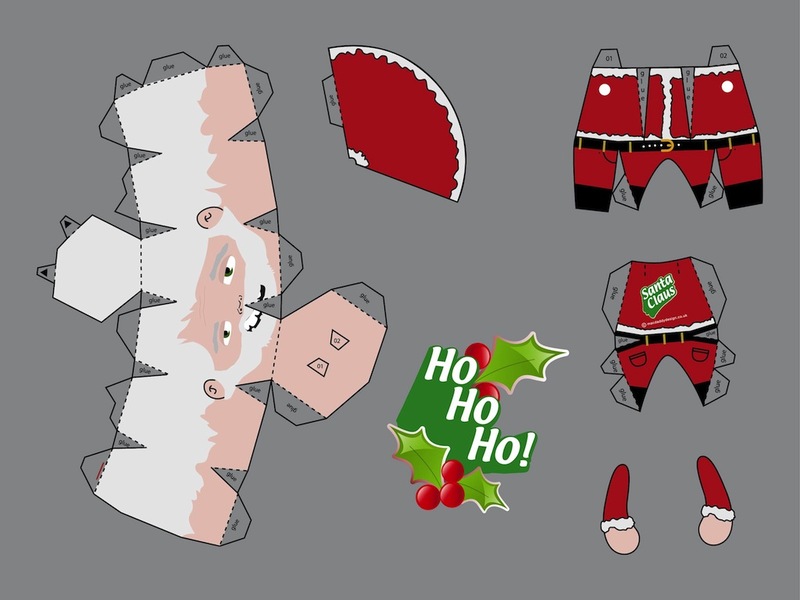 Paper craft vector foldout for all Christmas projects. Shapes to make the head, hat, body and arms of Santa Claus. Decorative sticker template with a green abstract shape with text reading “Ho Ho Ho” and mistletoe leaves. Free vector image for all festive, celebration, Christmas and Santa illustrations. Tags: Christmas, Clothes, Festive, Mistletoe, Paper Craft, Santa Claus.